Pour coffee in large mugs. Top with caramel ice cream and whipped topping. Drizzle with caramel sauce. Sprinkle with toffee bits. Serve immediately. An affogato is an Italian drink that combines coffee with gelato or ice cream. Coffee doesn't get much better. After our second date of Thai food and me tearing up over a bowl of spicy soup, my now boyfriend suggested we stop by the gelato shop on our way home. “We need an affogato after that meal,” he said. Having never heard of such a thing, I remarked that I wasn’t the world biggest fan of ice cream. To which he replied, “Oh, this is gelato…and COFFEE.” A bearded hipster boy filled two massive mugs with hot coffee, then topped it all with our gelato flavor of choice—we both settled quickly on Salted Caramel. Because ... salted caramel. Sitting down with steamy foamy mugs of creamy caramel goodness, a straw, and a spoon, we sat and sipped. 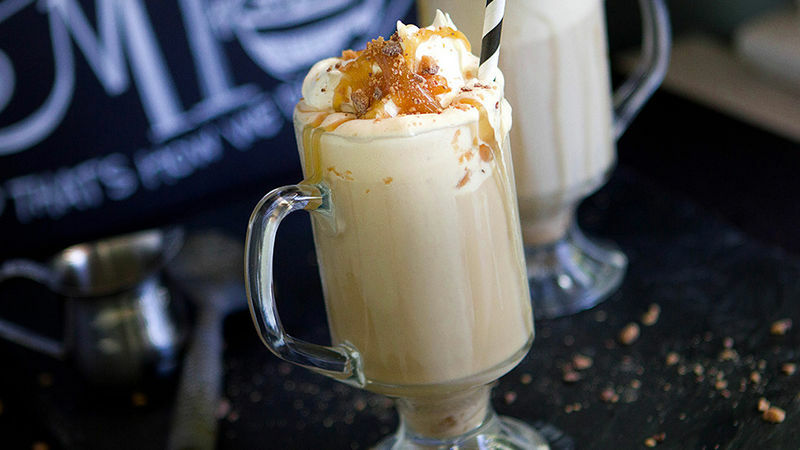 Caramel coffee floats. Now why hadn’t I ever thought of such bliss? Whether you’re a newbie to the affogato scene or a longtime fan, summer is the perfect time to enjoy this deliciously simple dessert. Three simple steps and you’ll be sipping in no time at all! Pick your ice cream flavor (or gelato, if you're a purist!). There are lots of options, but I prefer affogattos without chunky stuff inside the ice cream. So, sticking to a basic caramel flavor is way better (says me) than those waffle cone chunky kinds. I start with cool coffee because it makes the ice cream last longer, but if you’re in a hurry, you can make it with hot coffee like the coffee shops do. Ice cream in! A scoop or two straight into the coffee. Whatever will fit in your cup. This is not an exact science. 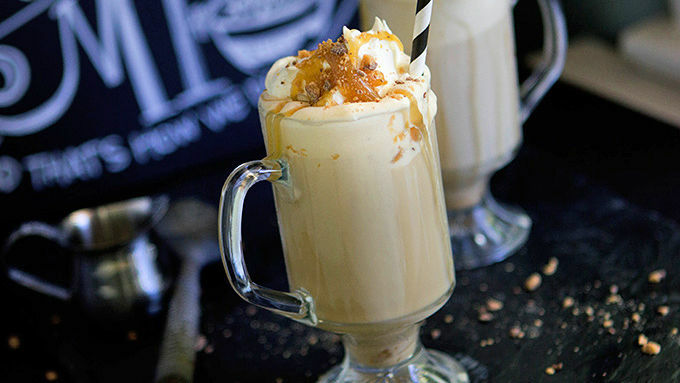 Top with a quick dollop of whipped cream, a drizzle of caramel sauce, and a sprinkle of toffee bits (should you desire). Now all you need is a spoon, a straw and a big comfy chair for reeeeelaxin’! Enjoy!